Creative is pursuing a UNDP funded activity to conduct a study on Community Perceptions of Security and Violent Extremism in Tanzania, and specifically in the regions of Zanzibar, Mwanza, Tanga, Pwani, Lindi and Mtwara. The study will improve understanding of the local context, establish baseline indicators for project work in the target areas, and establish the broader monitoring and evaluation framework and regime for all activities of the first phase of UNDP’s project implementation. 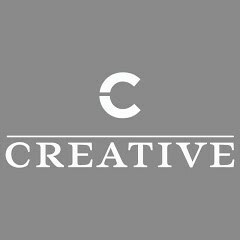 Creative seeks a Countering Violent Extremism (CVE) expert with significant experience in and understanding of the relationship between CVE, research and monitoring and evaluation in conflict or development programs. The CVE expert will be the lead of the project and will be responsible for managing overall program implementation including managing local researchers within each of the six communities, providing three deliverable reports, lending field-leading content expertise to program strategy, work plans, and project deliverables, and liaising with senior government and other key stakeholders as necessary. The Team Lead will report to the Project Director based in Washington, DC. Serves as senior representative for the program, and for Creative, in Tanzania. Travel throughout Tanzania may be required. Fluency in spoken and written English and Swahili is required. Local and regional candidates strongly encouraged to apply.